Malo e lelei! This means hello in Tongan. I’m very happy to announce that I just arrived in the Kingdom of Tonga. This island nation consists of over 170 islands and it is located in the South Pacific approximately 1,500 miles northeast of New Zealnd. It consists of three different island groups: Vava’u, Ha’apai, and Tongatapu. I’ve returned to Vava’u for the third installment of Tongan coral reef education. In September 2013, the Foundation conducted Tongan coral reef education and research, while on the Global Reef Expedition. We mapped areas around Tonga and conducted coral reef surveys. Additionally, we taught school children, communities, government officials, and tourists about coral reefs. We reached just over 2,300 people. Students at Government Primary School Liviela and Koloa learning about coral reefs in Tonga. We returned to Vava’u in June 2014 to conduct education and fisheries science research. We also created two films about the work that we did in Tonga: Education on the Road and Fishing for the Future. 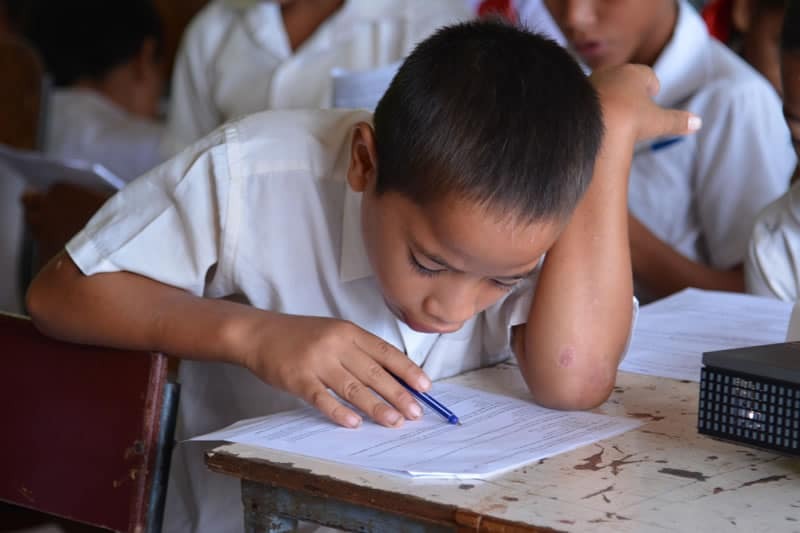 During this trip, we delved into education research, a first for the Foundation. During this pilot program, we conducted educational seminars about coral reefs in nine schools and at a variety of grade levels. Before and after the presentation, we conducted surveys with students. The student surveys were designed to determine the effectiveness of our education seminars and videos, assess attitudes towards coral reefs, and measure knowledge retention. 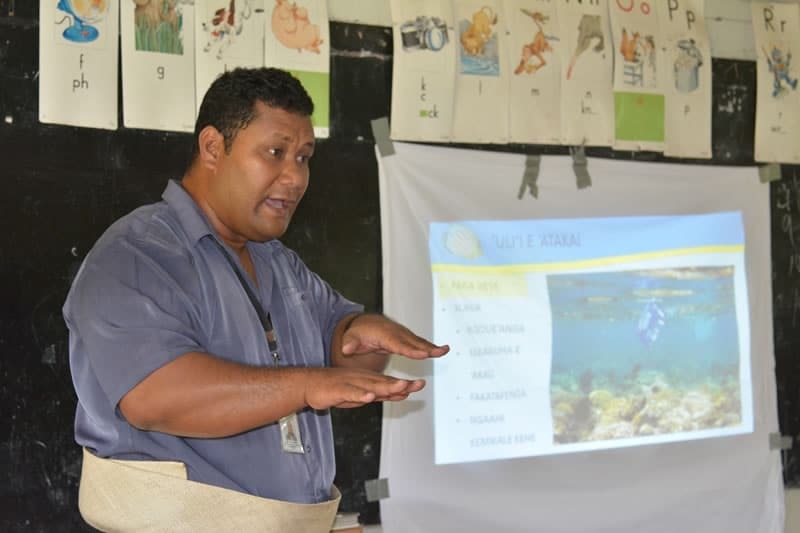 ‘Apai Moala and Amy Heemsoth presenting coral reef education seminars in Vava’u schools. Additionally, teachers filled out needs assessments. This survey will determine basic demographic information, the types of resources teachers have and need in order to teach about coral reefs, comfort level teaching various topics regarding coral reefs, and training that they would like to have in regards to coral reefs. On our current trip, we are going to conduct knowledge retention and action surveys in Vava’u with the same students that we taught in 2014. 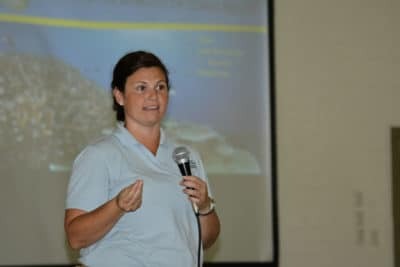 This information will help us to understand whether students are retaining the information from the previous coral reef seminars and determine if they have changed their actions that may harm coral reefs. 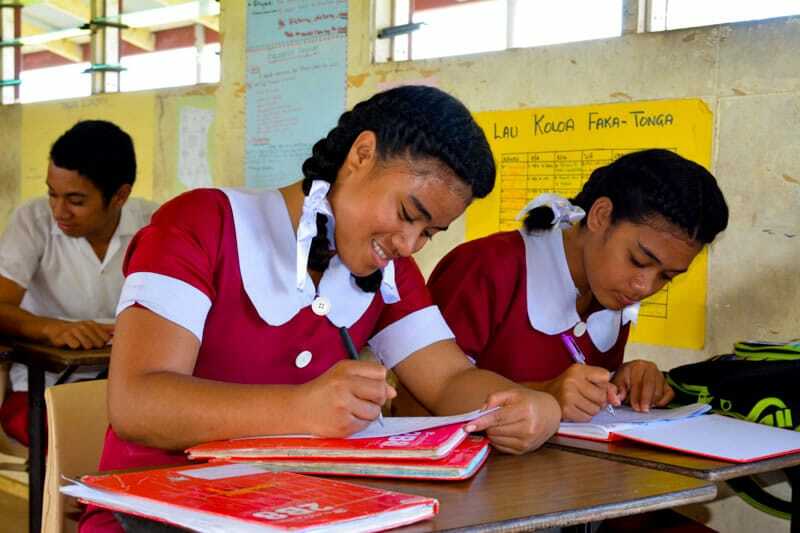 Students at Government Primary School Neiafu (left) and Mizpah Adventist High School (right) taking pre-assessment survey. Once we have collected this last bit of information, we will be able to analyze the data collected from the 2014 and 2015 trips. 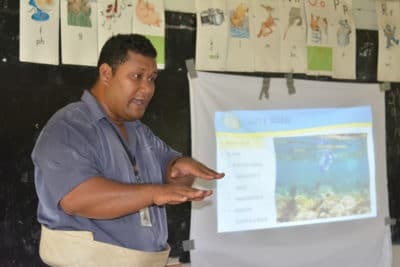 This information will help us to determine how we can help to bring coral reef education to Tonga. In order to carry out our mission, we are continuing our three-year partnership with local government ministries and NGO’s. While in Tongatapu, we will meet with ministry offices to determine the next steps of the project and how we can further Tongan coral reef education and conservation efforts.